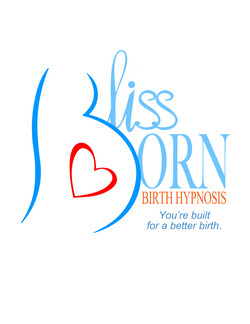 Hypnosis is the safe, 100% natural way to experience a relaxed and calm birth. Studies have shown that it shortens labor and reduces pain. Blissborn teaches a highly effective, natural way to use self-hypnosis to stay calm, release fear, control sensations and create a satisfying experience. Each two-hour class features activities, hypnosis, discussion, special training for birth partners, a practice CD and a manual. Each class builds on the last. This class is intended for couples in their third trimester. Private and group classes offered. Bring your partner, a pillow and water to each class. Birth professionals can attend as guests at no charge. Homework, CDs and independent self-hypnosis practice take 30-40 minutes/day, and this homework is fun! Those who practice daily have the best results. Now enrolling those in their 3rd trimester!